The mobile version is the same as the PC version, but with touch controls. It even uses the same account system as PC version, so your save files will automatically sync between mobile and PC. It fully supports blueprint modding, translations, and GIF captures also. 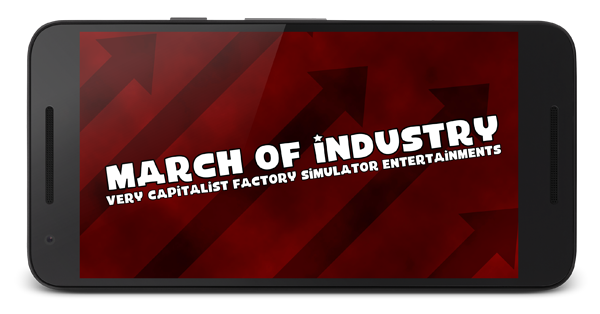 I am giving the Android version out free to anyone who bought either the PC MarchOfIndustry.com (Stripe) or Steam copies of the game. (This includes Steam codes given out as Novemberbit rewards). Just go to this page to download the APK. 😀 Woot!! This is going to be great! Wow, this looks amazing!! lets have some fun on our phone and get it easy by kjh787 3000g each. Mwhahaha. Shhh, don’t tell him that. For what version it is???? I have android 4.4.2. Bitmas 2015! » « Doubleplat 2015!